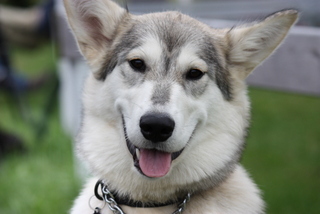 Meet Nuna, our husky from Northern Labrador, and the inspiration behind the name for Howling Dog Construction. She’s a very friendly and active dog, who loves people, children, other dogs, and cats. And she loves to howl! Tiny 2 Well on the way. Moving Day: Tiny Home on the Highway! Favourite Feature #5: The Doggie Elevator!